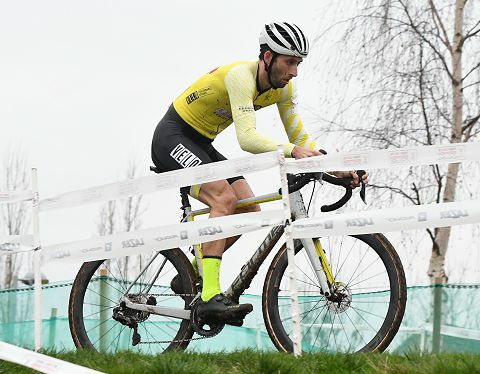 Two of the leading riders during the British Cyclo-Cross season were Ian Field (National Trophy CX winner) and Yorben Van Tichelt (who was 2nd) on their Forme Calver SLC bikes. 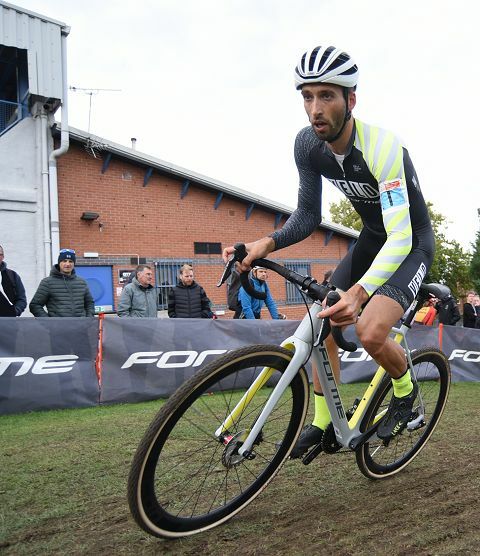 VeloUK caught up with both Ian Field and Yorben van Tichelt who rode Forme CX bikes to look back at the 2018/19 National Trophy CX Series. We started the chat by asking how the National Trophy season went overall. Ian: “The trophy series went really well for myself and the team. One win, three other podiums and the overall win while Yorben picked up two podiums and second overall. I couldn’t have asked for much more given the level of riders now regularly coming over from Belgium to compete at these races. I obviously would have liked to win more individual races but the overall win was really important for the team this year”. Yorben: “For me it was the goal to get first or second in the Trophy standings and try to win at least one round. I knew this was going to be hard as the off season health wise was really bad for me. I knew I was going to come into the series with no fitness but the goal was to get better every race and I think feeling wise I definitely did do that. The results weren’t what I expected them to be but I was really glad I still managed to get second place in the standings. 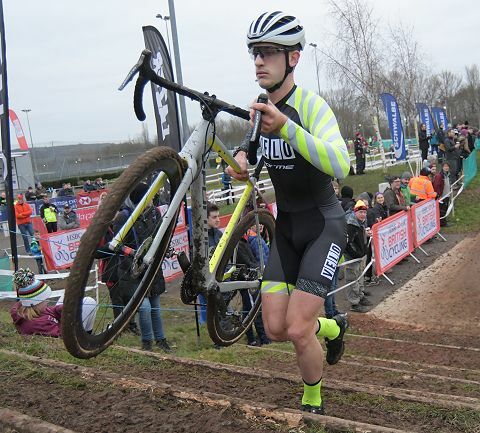 Unlike previous seasons when Ian and Yorben were in opposing teams, in 2018/19, the two of them were brought together to ride for Neon Velo and as well as the same team colours, they were on the same bikes from Forme. Ian and Yorben were really pleased with their new bikes as they explain. Ian: “The bikes have been really good this year. 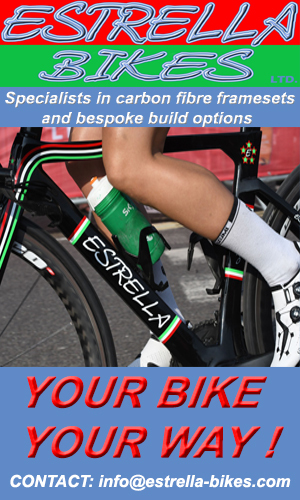 Initially, there were a few very small teething problems as you would expect with a brand new launch of a bike but that is part of the job; helping develop the bike while we race and train on it. 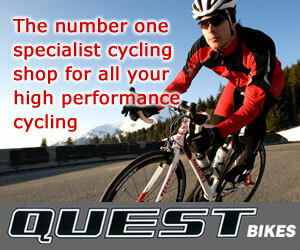 By the end of the season, they were completely dialled in and one of the best bikes I have ridden in my career”. 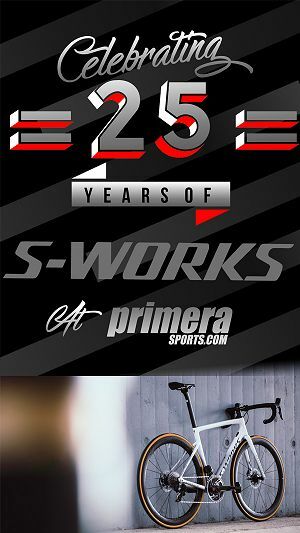 The bikes they were riding were the Forme Calver SLC frame equipped with Icon wheels and Shimano Ultegra hydraulic Di2 groupsets. Ian used a Fizik saddle and Shimano SPD pedals through the season and says he used pretty much every tread Challenge tyres have to offer! Yorben meanwhile, was on the same spec bike but says he changed from Dugast to FMB with his tyres. 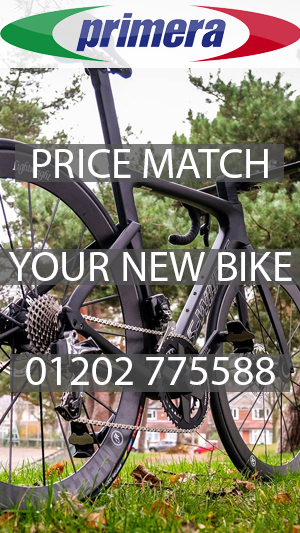 Both are very experienced cyclo-cross riders and in today’s market, there is a blurring of the lines between a CX bike and a gravel bike. 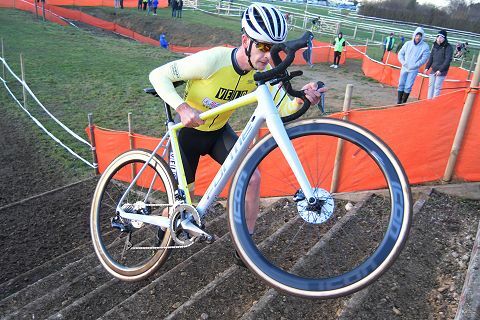 Asked what the key attributes are for a performance cyclo-cross weapon, Ian replied “the bikes have to be a lightweight setup, great handling and the balance between being stable at high speed but also nimble through tighter turns. 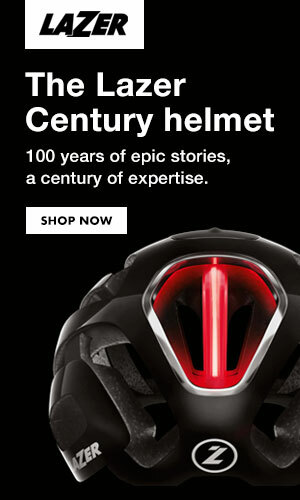 I think the Forme performs well across the board and most importantly, was fun to ride”. Yorben agreed it should be lightweight which when you see how much carrying they have to do of the bikes up steps and so on, it is no surprise and underlines why the weight has to be light. Yorben added “it should feel good cornering and ‘shouldering it’ should feel smooth when running. And there has to be enough space (clearances) between bike and wheels so it does not clog up with mud”. 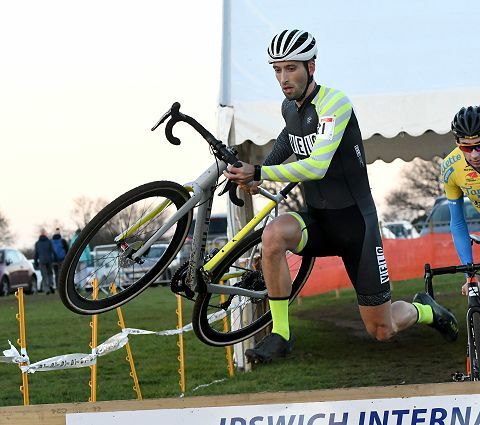 The National Trophy Series could be called the National ‘Touring’ Series as the six rounds took the riders from Crawley in the South of England to Irvine in Scotland. Ian admits there was quite a bit of travelling to do this year. “I think I handled the travelling quite well. Normally, travelling up on a Saturday afternoon after training in the morning meant I wasn’t in a rush or stressing about traffic jams to make it on time for a course practice”. For Yorben, he says even with a motorhome, it is not always easy to ensure the good legs and added ‘planning is key’. “Leaving a day earlier for races further away and making sure I got to spend enough time on the bike was important too” he added. Getting to the British races, as Yorben says above, requires some careful planning to ensure that pre-race they got to see the new courses which there were quite a few of this year and even at Shrewsbury, an old favourite, the course was different being run in the opposite direction. When asked how Belgian and British courses differ, Yorben says “In Belgium, the race course is build around the tv camera’s so people at home get the full potential of tv coverage, but sometimes they screw up the course because of that. Everywhere else they can just build a really nice course that the riders like and in Britain they always seem to get it right and build something really cool”. When it comes to the courses/events he found most fun, Yorben said Ipswich was his. “I was surprised what an awesome course they (Steve Grimwood and team) made with the little amount of hills etc they have”. Ipswich was also a course where we saw Yorben and only a few others (Isaac Mundy being another…) bunny hopping the hurdles. Is that something he has to practice I asked? “I did some really intense bunny hopping practice a few years back, but not really anymore now. It’s become so common that I’m used to it. I do train a lot for the sand and cornering skills though”. Interestingly, Yorben didn’t mention mud skills! The season was noted for its lack of mud and one of the rounds, Shrewsbury, was said to be the driest ever. A lack of mud was the talk of the season. 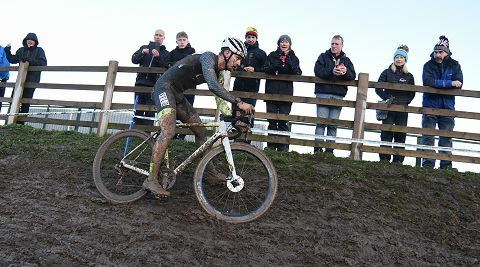 So did a lack of mud change the way the trophy events were raced in 2018/19 I asked Ian and Yorben? Ian replied “Yes. All the races were pretty fast and often group racing. It’s not particularly my cup of tea but it seems the way the weather and course design is going. It means things are more tactical and it’s not always about pure out and out power and strength like other years”. Yorben added: “I think there were three races in mud and three were fast and dry. So I think this made it fair for everyone and I don’t think it (more mud) would’ve changed the outcome of the series. I think ‘form’ on the day always is more important than the course of the day”. Did Yorben miss the mud I asked? “I don’t really have a preference for mud or fast races. As long as they make the best out of the course as possible, I’m a happy rider”. Speaking of travel and courses, a new one was Irvine in Scotland which also hosted the 10 mile CTT championship in 2018. For both Ian and Yorben, Irvine in Scotland proved to be the highlight of the Trophy season. “Yes, the highlight for me was the Irvine trip” says Ian from way down in Kent. “It was an amazing venue and taking the win capped off a great road trip”. For Yorben too, Irvine was special. “It was a beautiful course with beautiful scenery and to ride the full race with Ian at the front was pretty cool”. Once the Trophy series was done, it was time for the National Championships in their respective countries. For Ian Field, the championship wasn’t just in his home country but also home county of Kent. 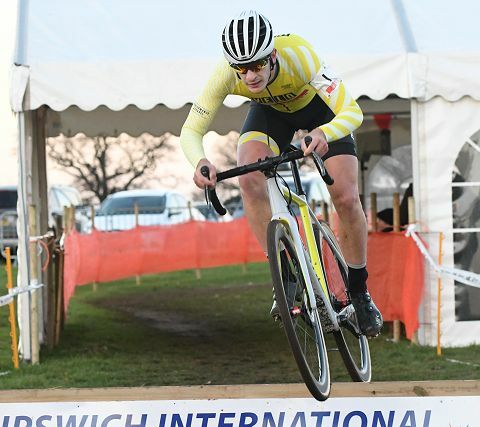 “It was really nice to be able to have such a short drive to the race and to be able to stay at home the night before the race was cool” said Ian of the race at Kent’s Cyclopark. Talking about his ride where he was fourth, just off the podium after years of winning the event, he explained “my race at the British Champs wasn’t quite what I was hoping for. I really wanted to podium but fell ill after Shrewsbury and I think it just took 5% off me which left me feeling a bit flat on a super punchy fast course in Gravesend. On the day I rode well and couldn’t have gone any faster so sometimes you just have to take that and move on”. When asked if he gets injured a lot in a sport where taking a tumble can be an every race occurrence on slippery surfaces, he replied “no. A broken nose and a broken thumb are the only two things I have suffered in cyclo-cross”. 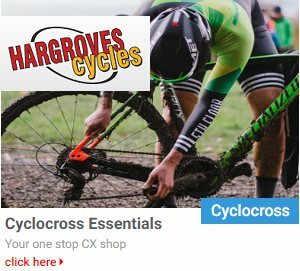 Finally, what now for Ian and Yorben with the CX season nearing its end? Ian says “I will take a break after the season and then head into the summer with some road racing and possibly some mountain biking on the cards to keep me sharp”. For Yorben, a break after the season is also on the programme as is some road racing between May and August prior to the next season. My thanks to Ian and Yorben! Yorben leading at Shrewsbury until a crash a suspected broken wrist.